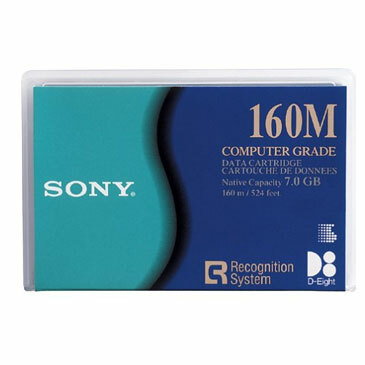 Sony QGD160M 8mm 160m 7/14GB Tape Cartridge : CD/DVD Supplies & Services, CCSS Inc. This is a genuine Sony (QGD160M) D8 Data Tape Cartridge. This D8 cartridge has the ability to store 14GB of compressed data and can transfer/write data quick speeds. Sony data tape cartridges are known in the market for have superior quality in data archiving and back-ups.